19th Century satin wood commode with marble top and veneered drawers. This is a charming commode featuring a truly unique marble top and really shows off the pre-mahogany era of furniture making very well. 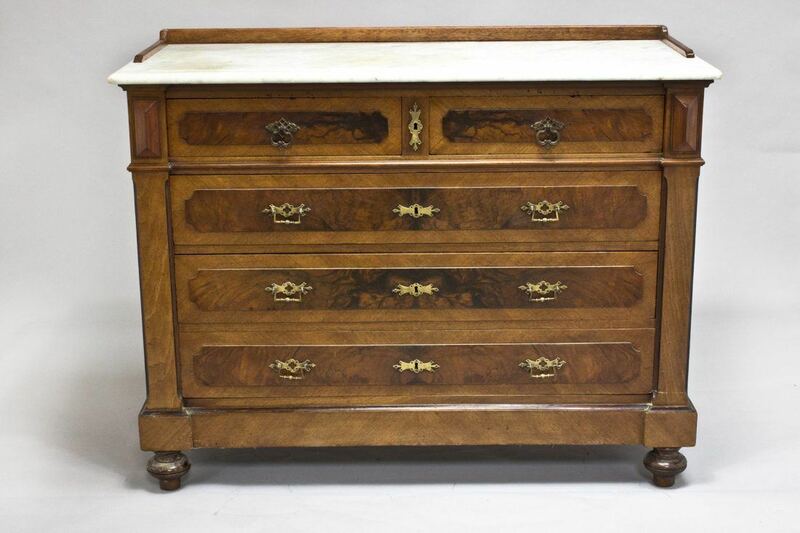 To ask a question about the 19th Century Commode with drawers click here. We'll email you the answer as soon as possible. If you have a question about the 19th Century Commode with drawers, fill in the form below and we'll email you the answer as soon as possible.